Cut the chicken thighs in half lengthways, then cut each half into 4 pieces. Cut the spring onions into chunks the same width as the chicken pieces, and thread the chicken and the spring onions onto skewers, alternating spring onion, chicken, spring onion, chicken, etc. Wrap the ends of each skewer in foil. Ideally you will cook these over charcoal or wood. Put the grill on high and position your oven rack 10–12 cm (4–5 in) or so away from the heat. 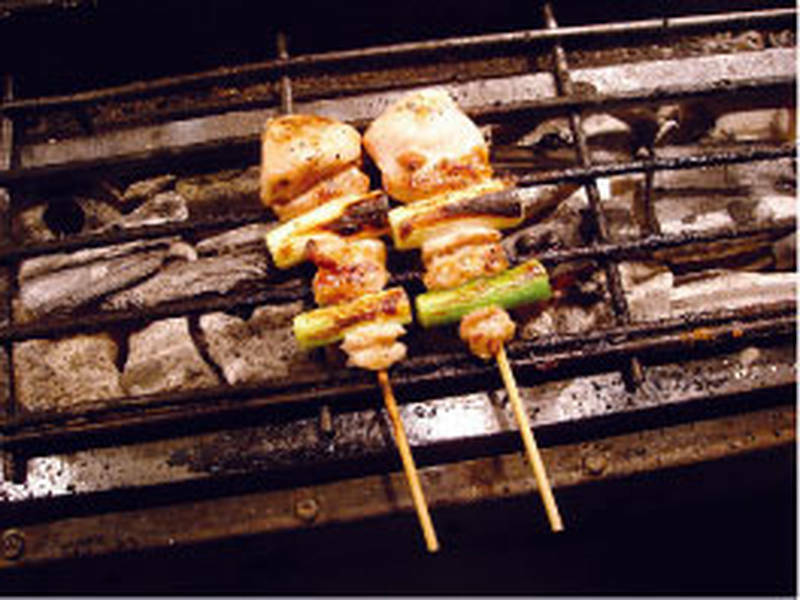 Using a pastry brush or spoon, lightly coat the skewers with the sweet soy sauce, then park them under the grill. Yakitori likes to be fussed over – it’s very hands-on. Check the skewers often, turning them, re-glazing with the sauce, and moving them around, to ensure they are all cooked through and beautifully caramelised. This should take anywherefrom 10 to 15 minutes total, depending on the size of the thighs and the power of your grill. When the skewers are done, give them one last brush of the sauce and garnish with sesame seeds. Enjoy with beer.